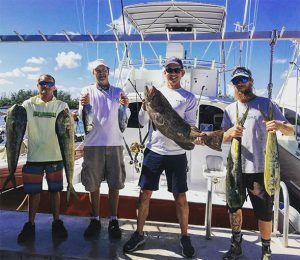 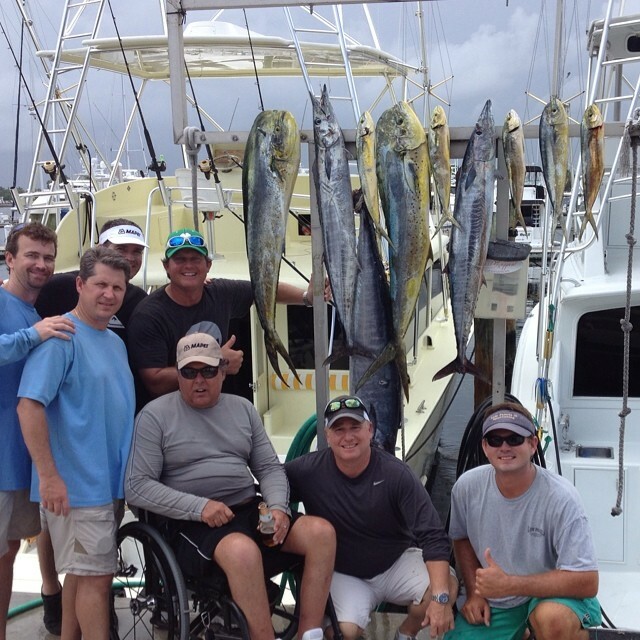 Yes, we are the ONLY charter fleet in South Florida that can take MORE than 6 people fishing! 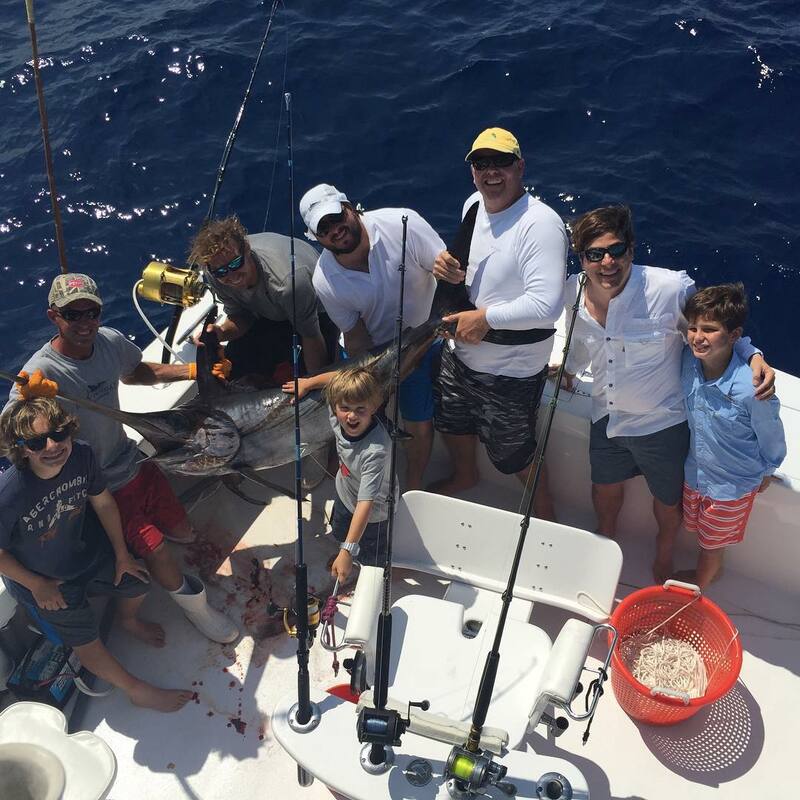 As the premier sportfishing fleet serving fishing from Fort Lauderdale to Miami, we are licensed to accommodate large groups and parties on our luxury sportfishing boats of up to 20 people. 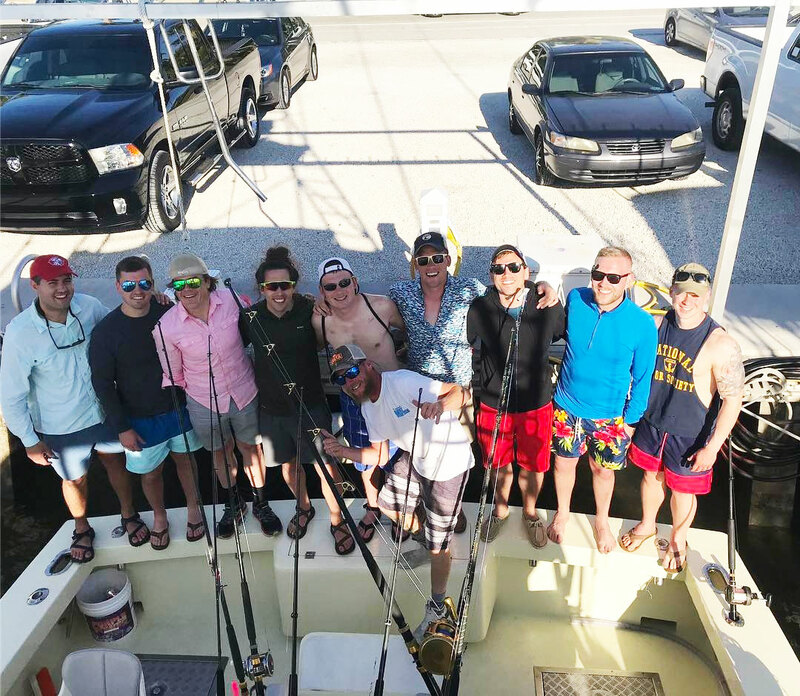 While our competitors’ licenses only allow them to take out up to 6 people, they are forced to put you on multiple boats, separating your party and diluting your offshore experience. Not us! 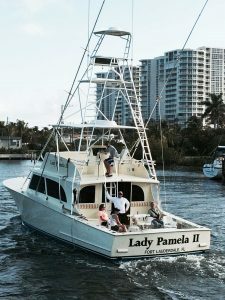 Not Lady Pamela Sportfishing! Our vessel, the Lady Pamela 3, is a luxury sportfishing boat that accommodates large parties and groups to meet your needs. 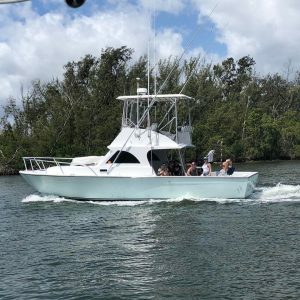 She is equipped with all the latest and greatest amenities including cabin A/C, tower, and a huge cockpit for you to socialize with your family or friends as well as a front deck for sun bathing or simply soaking in the salt air. 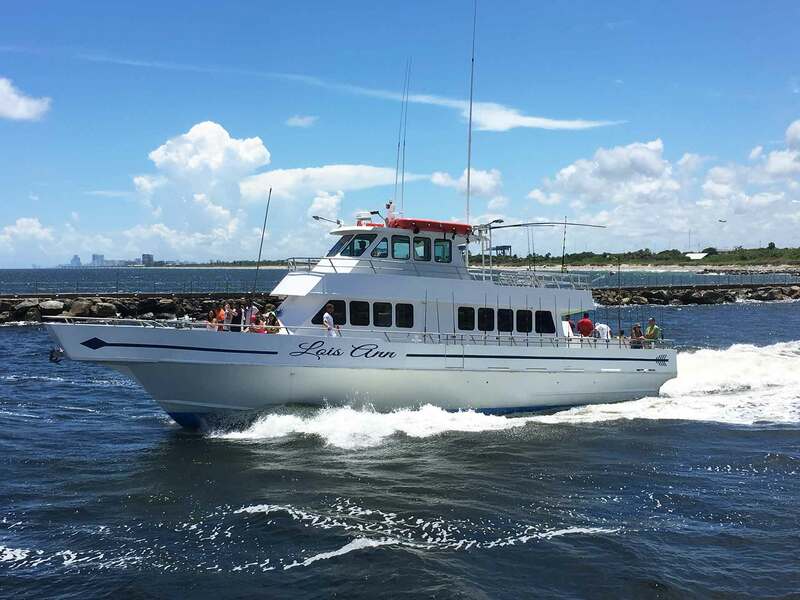 The Lois Ann is our custom large party fishing boat that can accommodate up to 60 people with a ton of room and cockpit area. We don’t just use this boat for fishing as it is used on our dedicated luxury Intracoastal Waterway tours, sunset cruises, bachelor parties, holiday event cruises such as Fourth of July and the world-famous Winterfest Boat Parade and more! 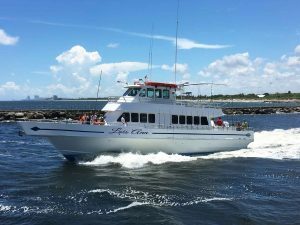 Lois Ann boasts a very clean bathroom for both ladies and men as well as air conditioned salon, tables and area for sun bathing. 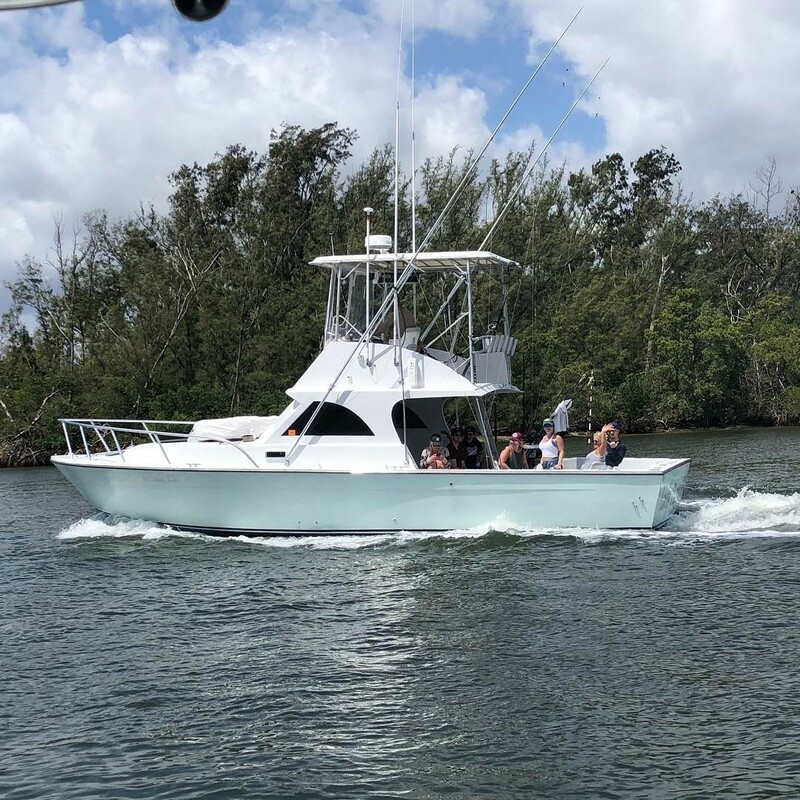 Take advantage of great pricing on this boat and enjoy a day on the water with up to 60 of your friends and family. 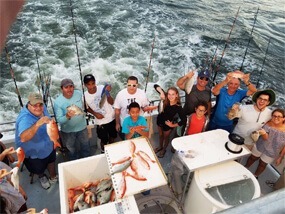 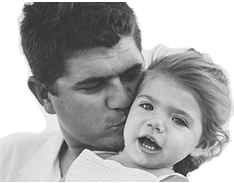 These trips are great for those with large families, corporate charters, bachelor parties, etc. 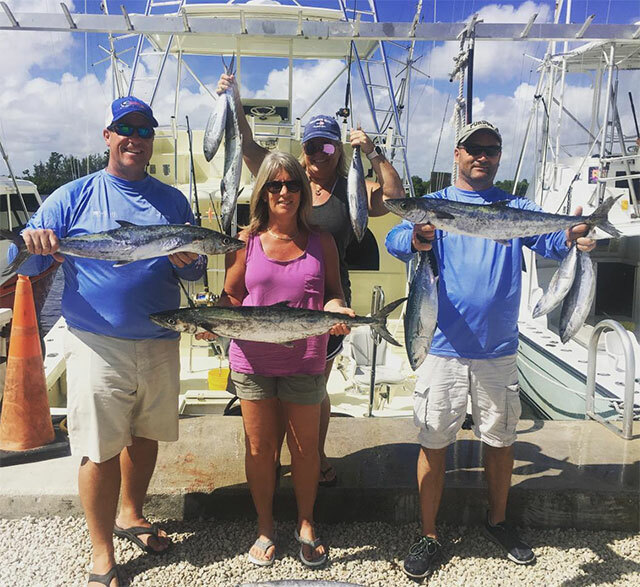 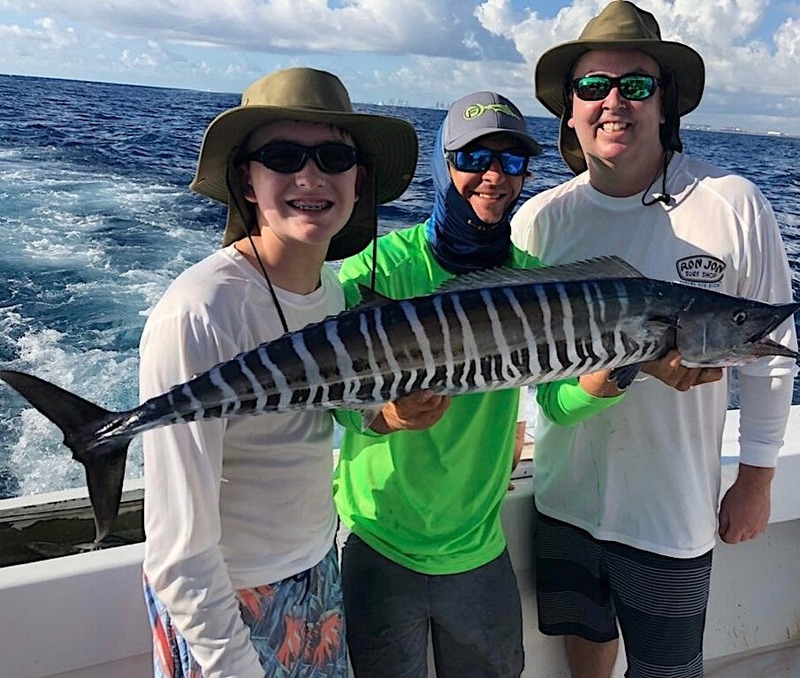 Enjoy fishing with the area’s top captains aboard our luxury sportfisher for trophy Sailfish, Mahi Mahi, Wahoo, Kingfish, Sharks and much more. 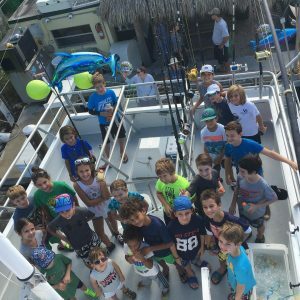 Kite fishing off this boat is extremely exciting and with all the space, you can be sure that your party will not be cramped. No matter the size of your party we can accommodate everyone on the same boat. 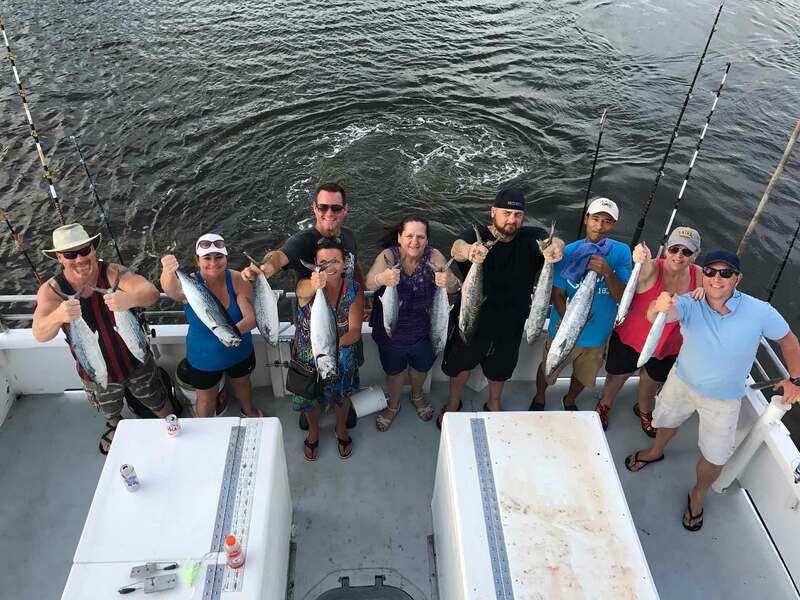 Book online at the links below. 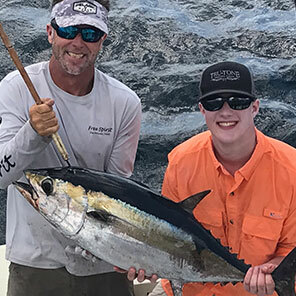 Our large group sportfishing trips are amazing adventures targeting big game species using techniques such as trolling, kite fishing, deep dropping and drifting. 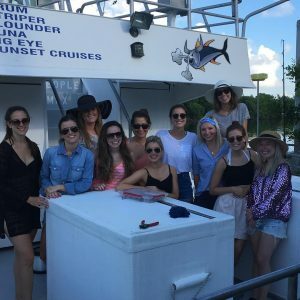 We never split up your group as our license allows for up to 22 people on this boat, however up to 18 if more comfortable. 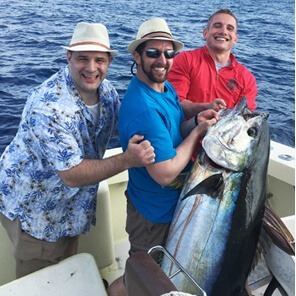 We provide everything, all you need is food, drinks and the willingness to crank on some big fish! A nice upgrade from our half day (4 hour) trip, the 6 hours gives extra time to try different techniques as well as for your group to take a break for lunch and reminisce. This is one of our most popular trips as you can start early and finish up at 1pm and still have the rest of the day for yourself. 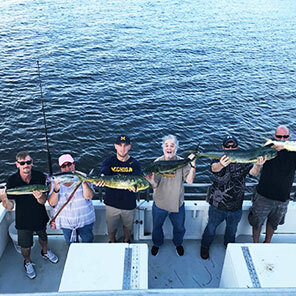 The earlier start is also a major advantage to catching fish as we have the lines in the water earlier and you know the saying, “The Early Bird Catches the Worm”. 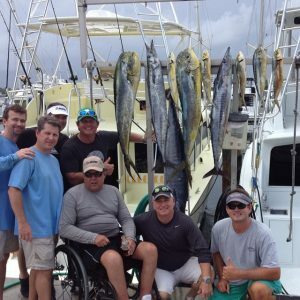 Our full day sportfishing adventures for large groups are a customer favorite. With 8 hours at sea we have the opportunity to target several species and switch up the tactics such as mahi fishing to shark fishing. 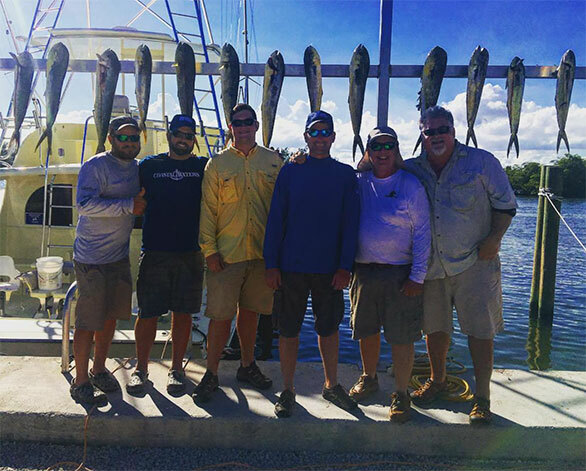 Your group can break for lunch at noon, while we keep working hard to put you on the fish. Enjoy our cabin with ice cold ac and bathroom on board and then re-join us in the cockpit for the action. 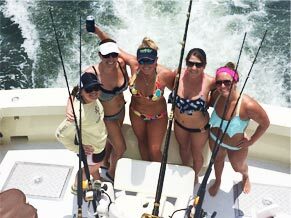 Great for corporate events, bachelor parties, team building or just large families. 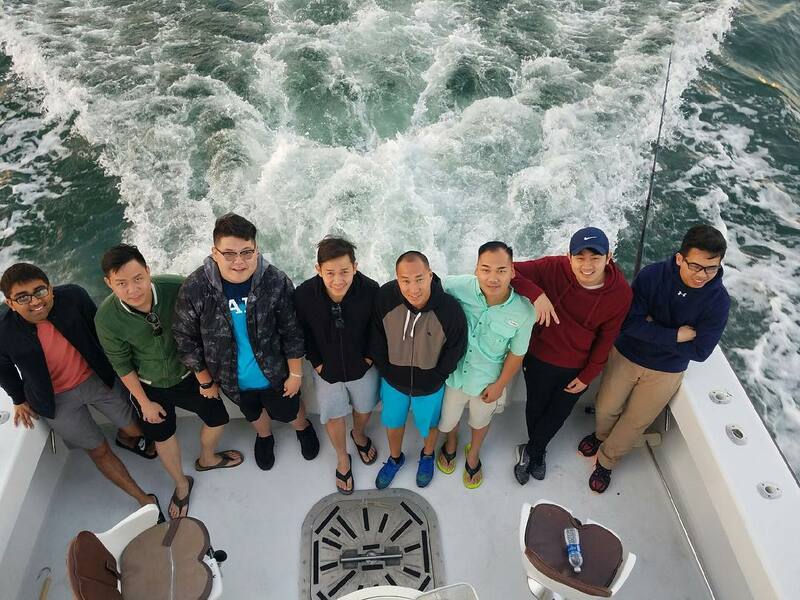 Everyone is welcome and family to us once on board. 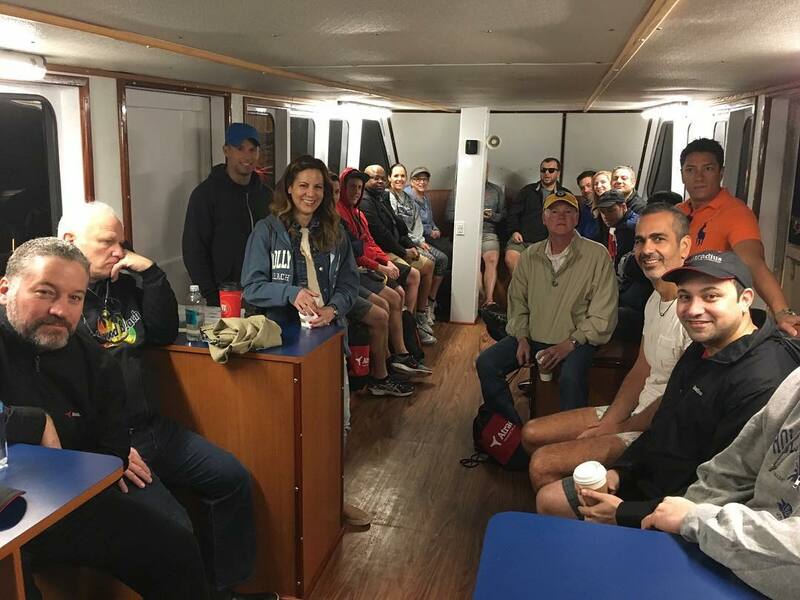 We really outdid ourselves when we brought the Lois Ann to our fleet. 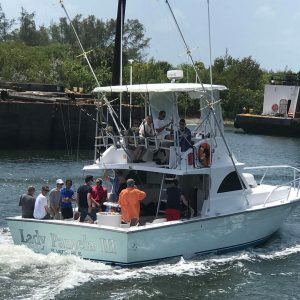 Our customers absolutely love her! 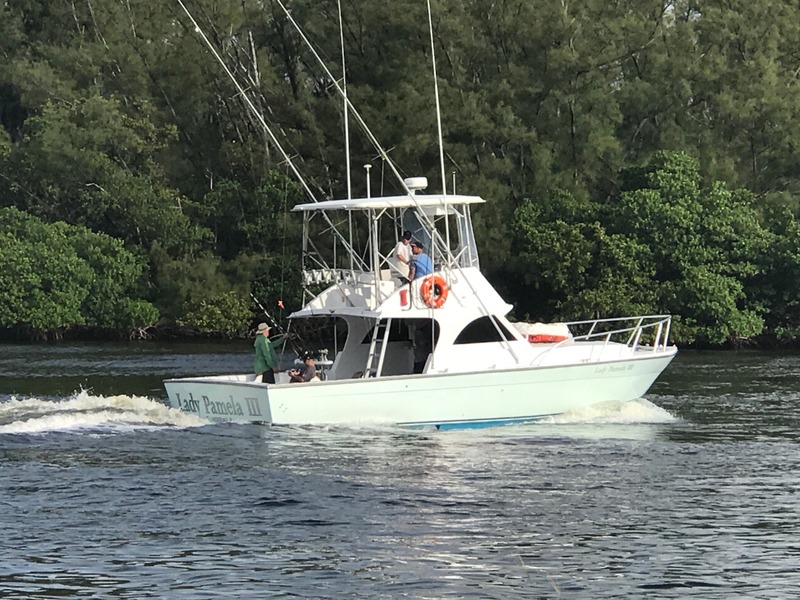 She is equipped with all the latest and greatest to give you the best chance at catching fish, but she is also very roomy for group up to 60 people. 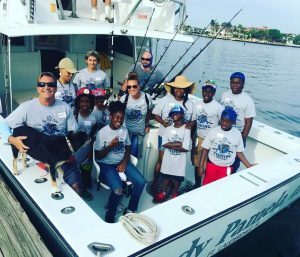 Your captain and mate will work hard to keep everyone interactive and put your group on a sportfishing adventure memory that last lifetime. 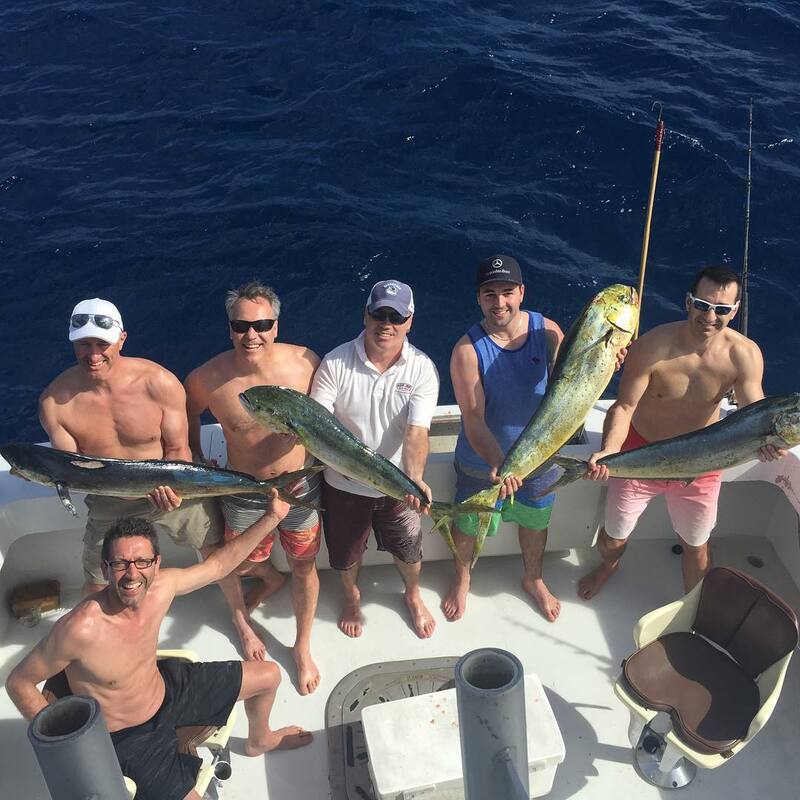 By adding the additional 2 hours over a half day, you get a whole lot more of fishing. As the closest boats to the fishing areas, you will have at least 5 hours of sportfishing with your group of friends or family. 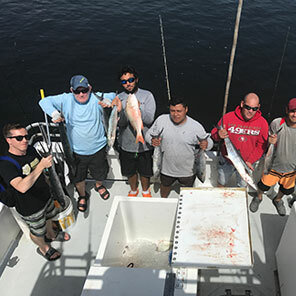 Take a break at any moment and go into the air-conditioned cockpit as your crew works every second to sure the reels are screaming with fish. A full day of sportfishing aboard the Lois Ann is an adventure for your entire group. With 8 hours at sea, take it all in while your crew works hard every minute to get fish on the line. 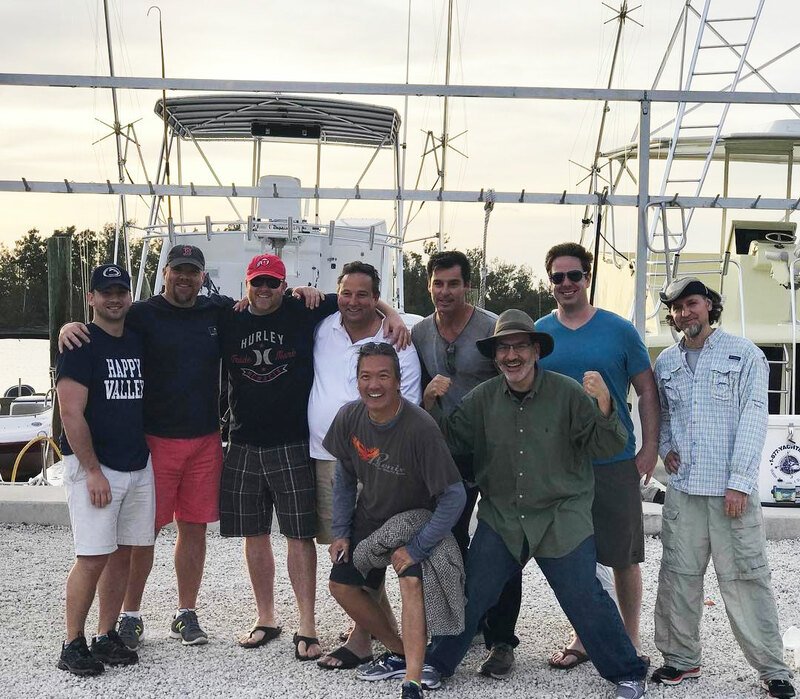 We will try several techniques and cover more ground on this trip as the time allows us to really show off our wide range of skills. Back at the dock we clean all fish and send you home with fresh filets. 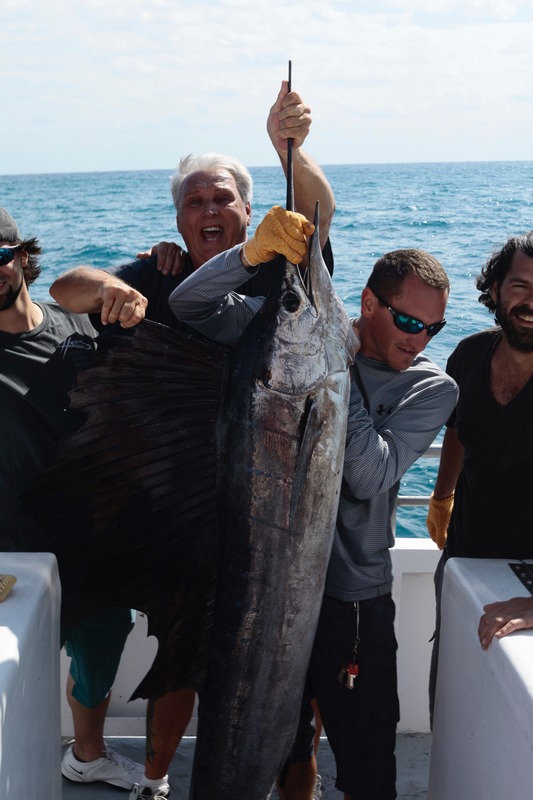 The Gladiator of the Sea... 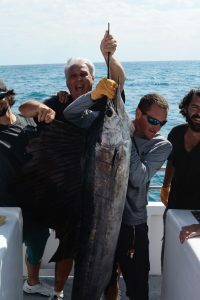 Pound for pound one of the hardest fighting fish in the ocean. 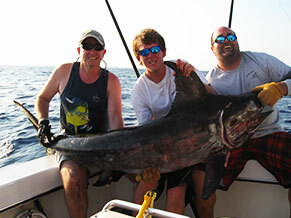 We target them both at day and night all year long. 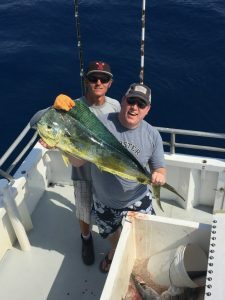 Using fresh squid at night or bonita during the day, the fish are absolutely incredible to fight. 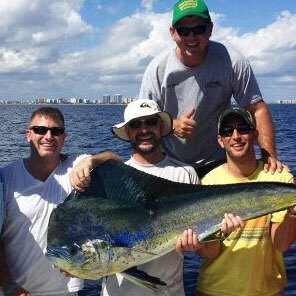 The biggest game fish South Florida has to offer. 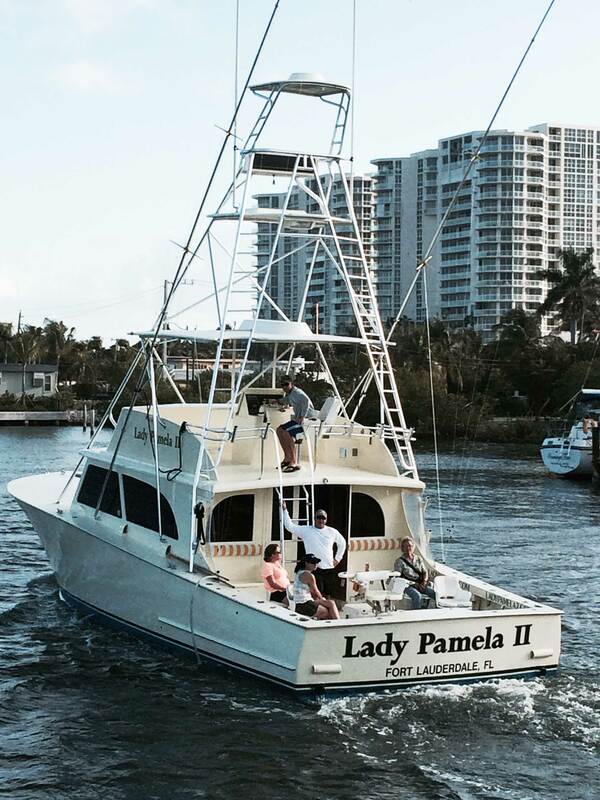 The Lady Pamela Fleet features the highest quality luxury sportfishing boats in the business. 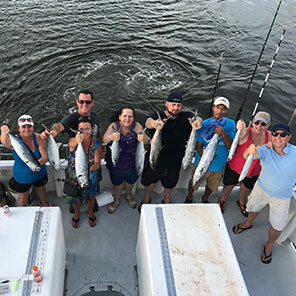 Each boat was hand selected and carefully outfitted with the best in electronics and fishing gear to give our customers the best opportunity in catching trophy game fish. Your large group is going to be extremely comfortable and love the ride of each of our vessels. 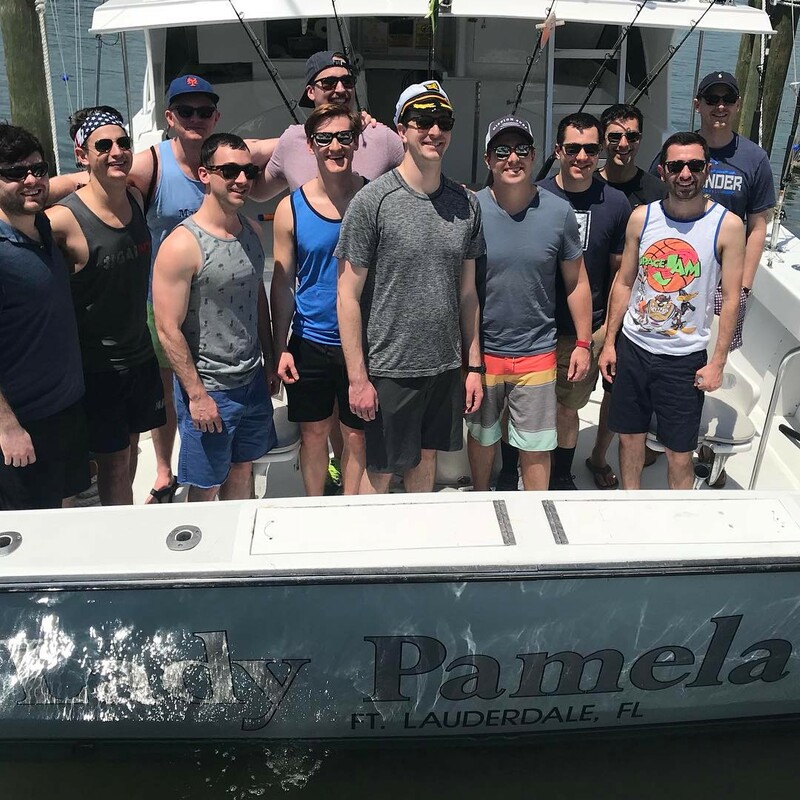 From 1 to 62 people, we have you covered. Each boat is has ice-cold a/c as well as a bathroom on board.